A great family book about a child afraid to enter a fun run is The Treasure of Health and Happiness by Carol Goodrow. Bellevue Breeze Track Club is a summer youth organization dedicated to providing guidance, discipline, a positive alternative, competitive meets and fun for the youth in the Bellevue/Omaha/Plattsmouth and surrounding communities through the sport of track and field. The Bellevue Breeze organization understands the importance that sports play in the development of life skills. It is important that we all understand that being a good athlete will last for a short period, but being a good person will pay dividends forever. So come on out and enjoy the "Breeze". The club meets on Monday, Wednesday and Thursday evenings from 5:30 to 7:00 at the Bellevue East track beginning in mid-April, continuing to late July. There are meets on the weekends throughout the summer and the schedule is listed on the Nebraska Association Youth Club website above. This group is sponsored by the Bellevue Recreation Department and more info can be obtained by calling their office (293-3142) or contacting the head coaches, Bryan and DeeDee McKinley at 293-4150. 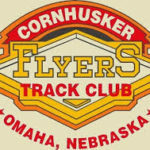 Cornhusker Flyers Track Club is a USA Track & Field Nebraska Association member youth club, offering an opportunity for boys and girls ages 18 and younger in the Omaha metropolitan area to participate in the sports of track & field and cross country. 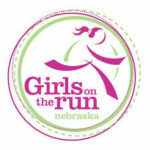 Girls on the Run of Nebraska offers after-school programming that combines friendship, fun and a 5K to promote healthy lifestyles and self-respect in third- through eighth-grade girls. Our nonprofit organization uses a nationally standardized curriculum that incorporates exercise, education and mentoring to create a positive athletic experience for young girls. Girls on Track for middle schoolers. The Omaha Racers specialize in youth Track and Field, ages 8 to 18, in the spring and youth Cross Country in the fall. The fun and friendly team atmosphere attracts athletes from around the Metro area with abilities ranging from the beginner level to All-Americans who compete at the National Junior Olympic level. More Info: Contact: Leigh Officer and/or Bart Wilkins via the Omaha Racers website.